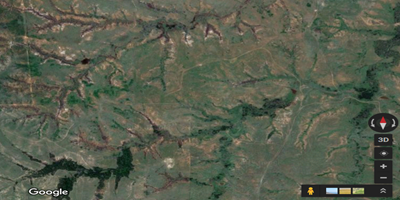 We're back in Protection Kansas with Kent and Clay Jarnagin of Cimarron River Outfitters. There are three hunters this week: Jake Ensign (Medicinemann), Tom Edgington (Mad Trapper), and Pat Lefemine. As always, you will hear the good, the bad, and the ugly on this hunt. We will try and post both a morning and evening update - but no promises. We are looking to redeem our reputations from last years' debacle. For my first morning hunt I went to one of my favorite tree stands called Calvary Creek. The weather has turned colder and breezy with a pretty rare East wind. The morning was slower than I usually experience here but it was still fun. Several groups of does visited my stand along with two small bucks. 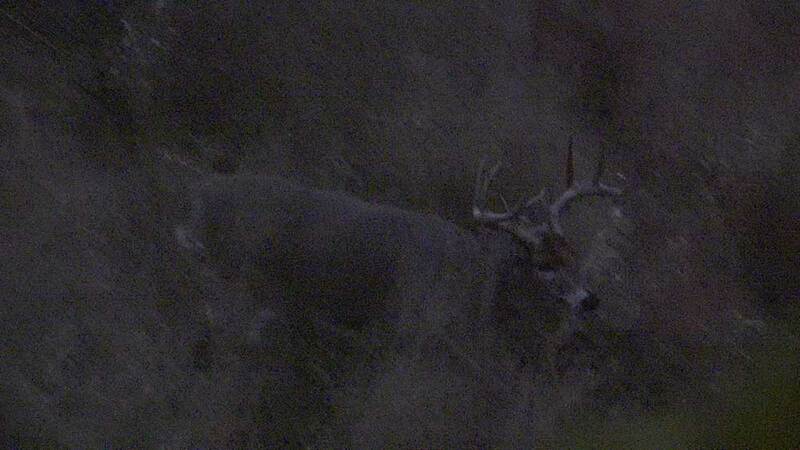 The highlight of my morning was watching both of these bucks make a scrape within feet of each other simultaneously. Perhaps this is more common than I thought, but in 35 years of deer hunting I had never seen it before. A first for me. 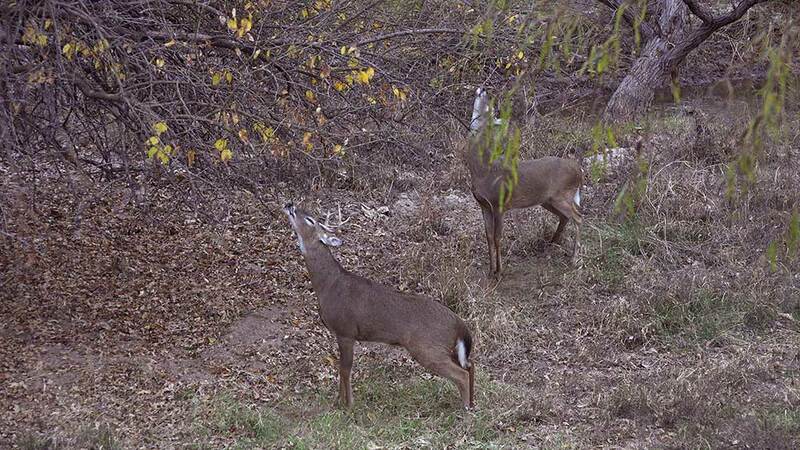 Watching two bucks simultaneously making a scrape on the same tree mere feet from each other. We were cautioned by the previous group that hunting has been tougher than normal here. There's been a lot of rain and crops are still out in many locations. We have great weather moving in over the next two days with some very cold temps - even snow! 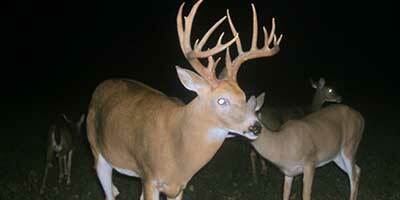 We are hoping that drives the bigger bucks out into daylight putting them on the move. The afternoon hunt was slow at first but that changed at last light. I had a fawn and a small spike up until the last 30 minutes. I was hunting the Pipeline stand which borders a harvested milo field. 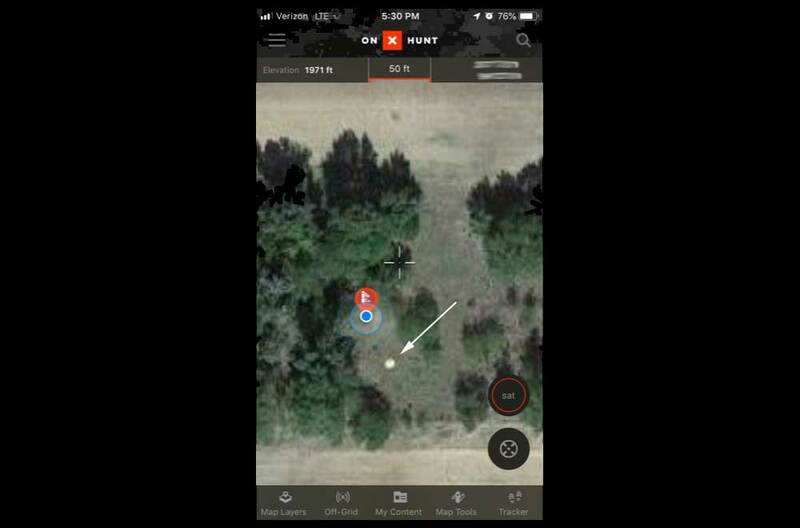 I always like to mark my treestand locations on my OnX mapping App. 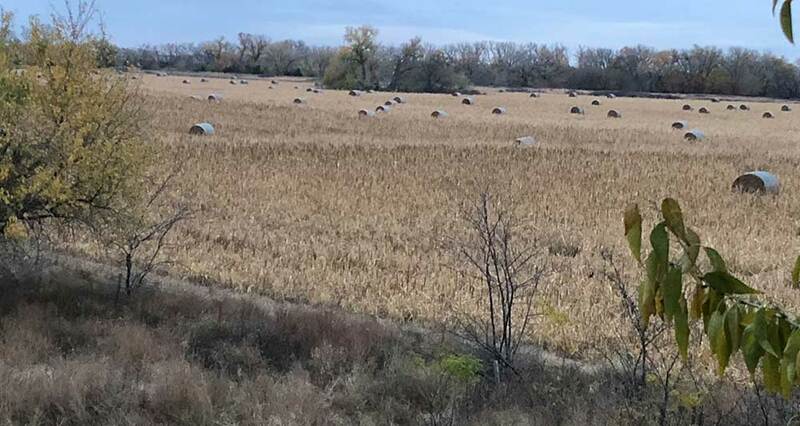 When I looked closely at it, I had to laugh at the corn pile from space! I caught a glimpse of movement in the field and watched two bucks, both mature, trotting around looking for does. One of them came in and for a very brief moment I thought he may be a shooter. But as I looked more closesly I decided he was not. It was getting really late and while I could have pulled off a shot, I opted to give him a pass. He's not a giant, so no reason to shoot him this early in the hunt. 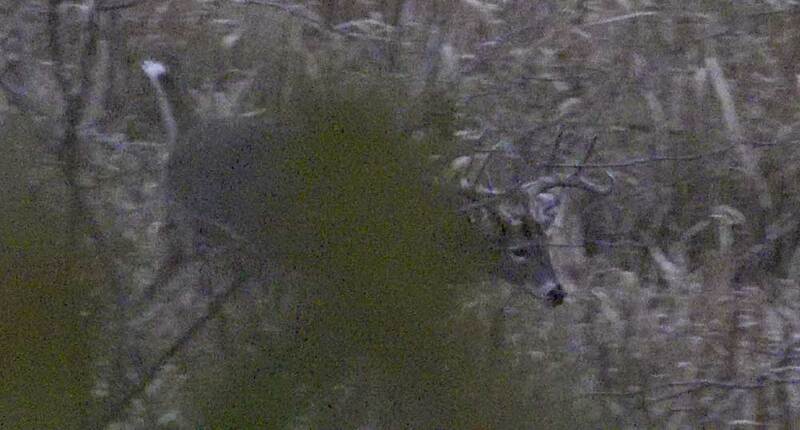 Here is the same buck 15 minutes later right under my stand. I could have shot him but decided to give him a pass. The buck came into the bait at this stand and stayed there until Clay came to pick me up. It was a fun afternoon. Jake had a couple good bucks show up but just like mine, just not quite there to warrant tagging out this early. Tom had a small eight and a pile of coyotes.